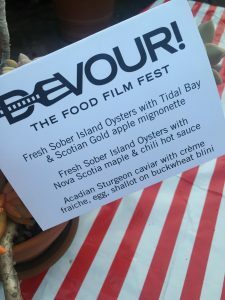 Foodies and film lovers gathered to celebrate ‘A Taste of Devour!’ in Los Angeles, in one of a series of global events leading up to the Devour Food Film Festival which takes place in Nova Scotia in November 2016. 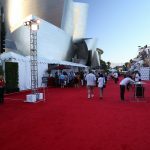 Devour is the largest film festival devoted to all things culinary and cinematic arts. This epicurean celebration was first launched in Nova Scotia in 2009. What a perfect setting on the eastern Canadian shores – from a landscape that boasts fresh fare, locally sourced seafood, and fine wine. The festival is most known for food films, but submissions also include films related to beverages, wine and spirits. 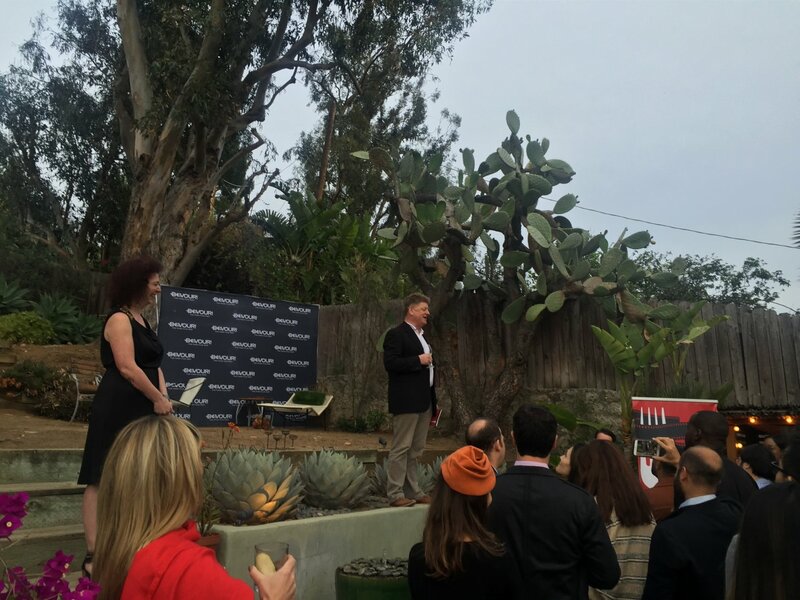 With the iconic Hollywood sign as the backdrop, Food Network Host Bob Blumer opened his home perched in the Hollywood Hills to attendees who enjoyed a sampling of Nova Scotia’s culinary offerings. 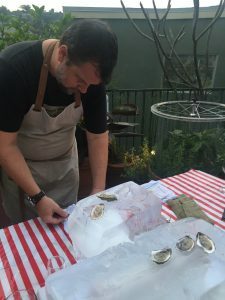 This region of Canada is known for its fresh seafood, and guests enjoyed delicious Nova Scotia cuisine prepared by Canadian Chef Jason Lynch. A notable culinary standout were the oysters; these were flown in directly from the source especially for this event (just a dash of maple hot sauce had even newbies oyster slurping). 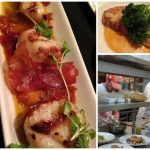 The locally sourced cuisine was paired with several wine varietals, including various reds and sparkling wines grown and produced in Nova Scotia. Don’t let the cool growing temperatures mislead; Nova Scotia is highly regarded for its wine production, dating all the way back to the 1600s. 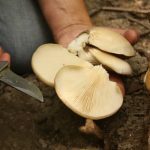 Devour takes place over five days so when you’re not watching foodie flicks you will have plenty of time to explore this coastal Canadian gem. 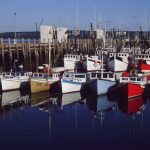 The Nova Scotia Tourism board offers several culinary itineraries which include guided tours with local experts, and locally sourced restaurants featuring fine dining or take out; these are culinary adventures your taste buds are sure to appreciate. A visit to Nova Scotia is only complete with a visit to ‘wine country’. 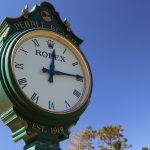 Oenophiles will rejoice in indulging tastings from more than 16 wineries and vineyards. And for beer lovers, there are currently 15 microbreweries and distilleries to explore. The sixth annual Devour Food Film Fest takes place this fall, November 2 – 6, 2016 in Wolfville, Nova Scotia Canada. For more information, visit devourfest.com. Stay current with the magic of ‘film meeting food’ in the meantime using hashtag: #Eatitup. For more information on planning your trip, visit the Nova Scotia Tourism Board.